Revenue in the Wearables segment amounts to £374m in 2019. Revenue is expected to show an annual growth rate (CAGR 2019-2023) of 3.4%, resulting in a market volume of £427m by 2023. 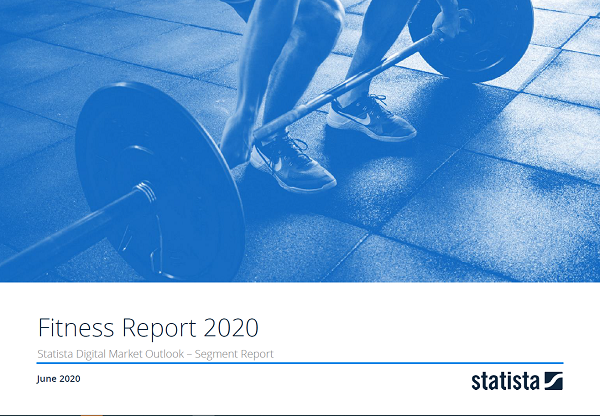 User penetration is 9.8% in 2019 and is expected to hit 10.4% by 2023. The average revenue per user (ARPU) currently amounts to £56.74. In global comparison, most revenue is generated in China (£3,535m in 2019). The Wearables segment includes devices that are explicitly intended for fitness. In particular, fitness wristwear which is equipped with sensors and activity trackers that measure and analyze the physical activity and body functions of the wearer (e.g. number of steps taken, movement, pulse and temperature). Well-known examples of fitness wearables are the fitness bands from fitbit, Jawbone, the Chinese manufacturer Xiaomi, and the Nike Fuelband. Also included are smart clothes like smart socks from Sensorias. These are equipped with sensors and Bluetooth which allows to track distance, speed, calories, altitude, cadence, foot landing of the wearer. In addition, eyewear is considered in the Wearables segment. An example is the smart glass from Solos, which measure heart rate, speed, distance and micro-displays this data in the right-hand corner of the cyclist’s vision. Smartwatches are not considered here as dedicated fitness equipment; therefore they are excluded from the market segment. However, in the future it is expected that there will be an increasing convergence of smartwatches and fitness bands. Reading Support Revenue in the Wearables segment amounts to £374m in 2019. Reading Support The Wearables segment is expected to show a revenue growth of 5.0% in 2020. Reading Support In the Wearables segment, the number of users is expected to amount to 7.1m by 2023. Reading Support User penetration in the Wearables segment is at 9.8% in 2019. Reading Support The average revenue per user (ARPU) in the Wearables segment amounts to £56.74 in 2019. Reading Support In the year 2017 a share of 31.7% of users is 25-34 years old. Reading Support In the year 2017 a share of 50.2% of users is male. Reading Support In the year 2017 a share of 46.0% of users is in the high income group. Reading Support With a market volume of £3,535m in 2019, most revenue is generated in China. Reading Support With a rate of 11.8%, the user penetration in the Wearables segment is highest in United States. Here you can find more studies and statistics about "Wearables".